Ever wonder what the inside of your carts look like? 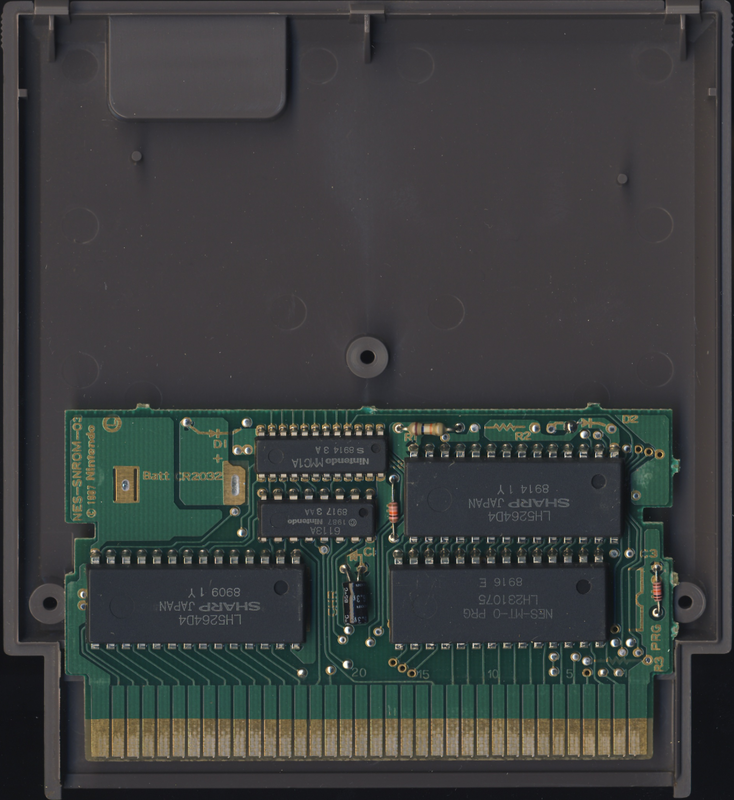 Anyone with security bits already knows, but there are probably some people out there that have never seen the inside of a cartridge. 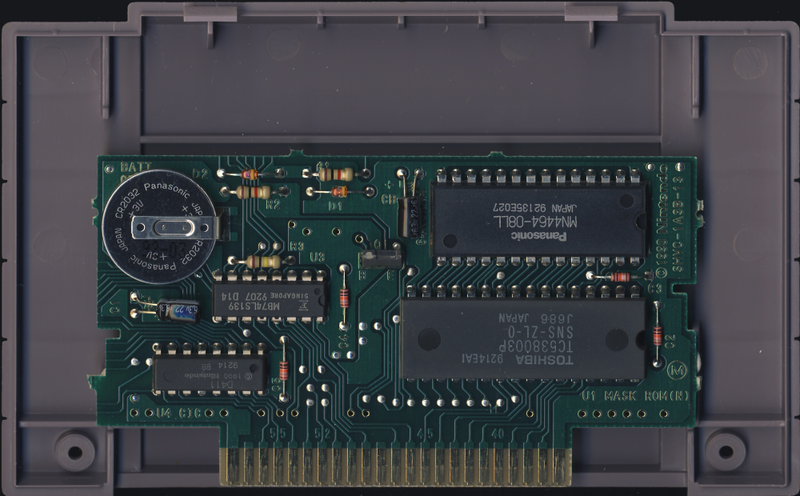 Let's take a peek inside at the guts of some classic games! Opening up games is something you should get in the habit of doing. You never know where the game you have in your collection was before it came into your possession. Many games have been stored in disgusting, dirty places, so it's a good practice to clean them inside as well as outside. Even a game that has a pristine outer shell can hold terrible secrets within. Fortunately, none of my games still have those terrible secrets within because I open them all and give them a thorough cleaning! Be aware: I don't know the technical aspects of any of this. I won't share any information about what does what inside a game, because I don't know myself! I just like looking at stuff like this. So let's begin! A more advanced NES game. 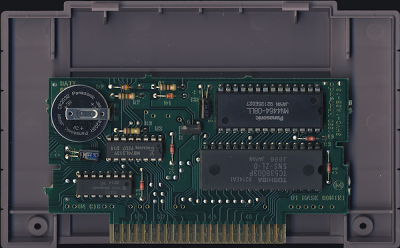 An NES game with a battery inside. This game has a lot of guts! These are by no means every type of board you'll find in NES games. These are just a few examples I grabbed from my collection that I knew would be different. There are all kinds of wing dings, flip flaps, and ding dongs inside of games you'll come across if you start opening them up. Here are some more gut shots of various Nintendo games. 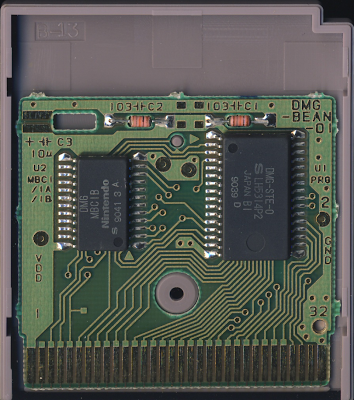 A typical Game Boy game. 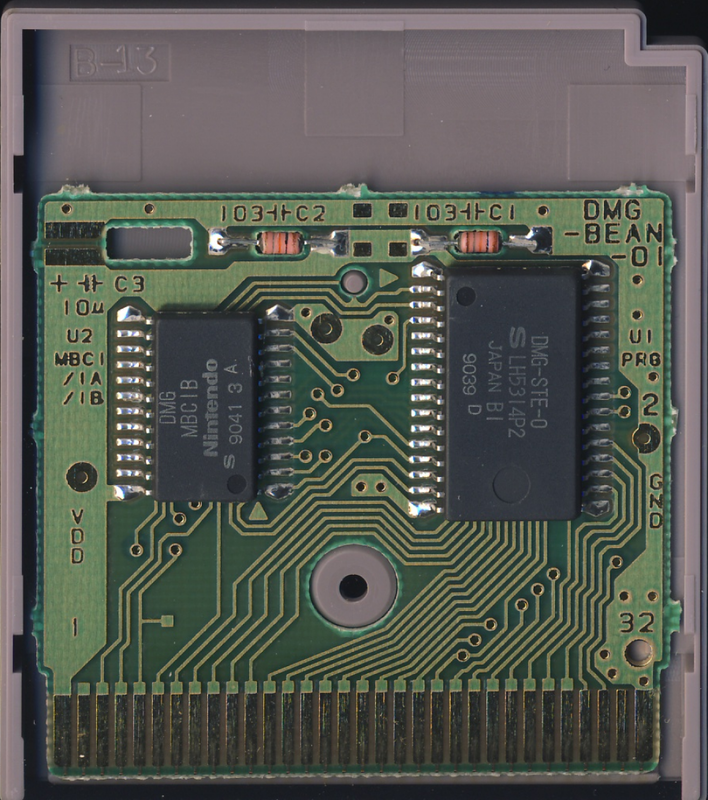 A Game Boy game with a battery inside. 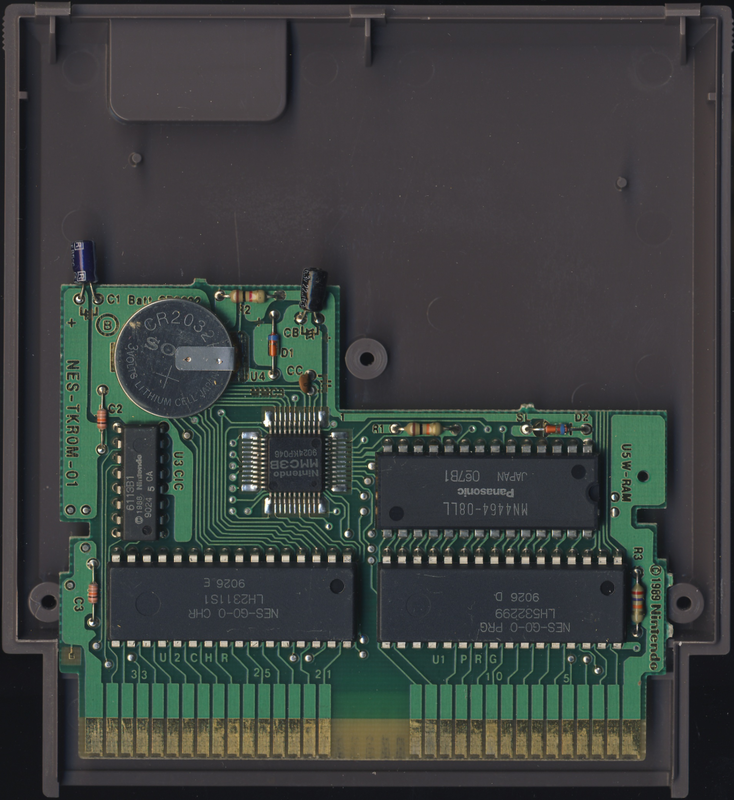 A Super Nintendo game with a battery inside. 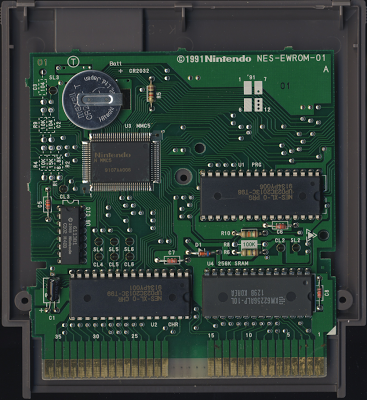 The inside of a Nintendo 64 game with the RF shield removed. 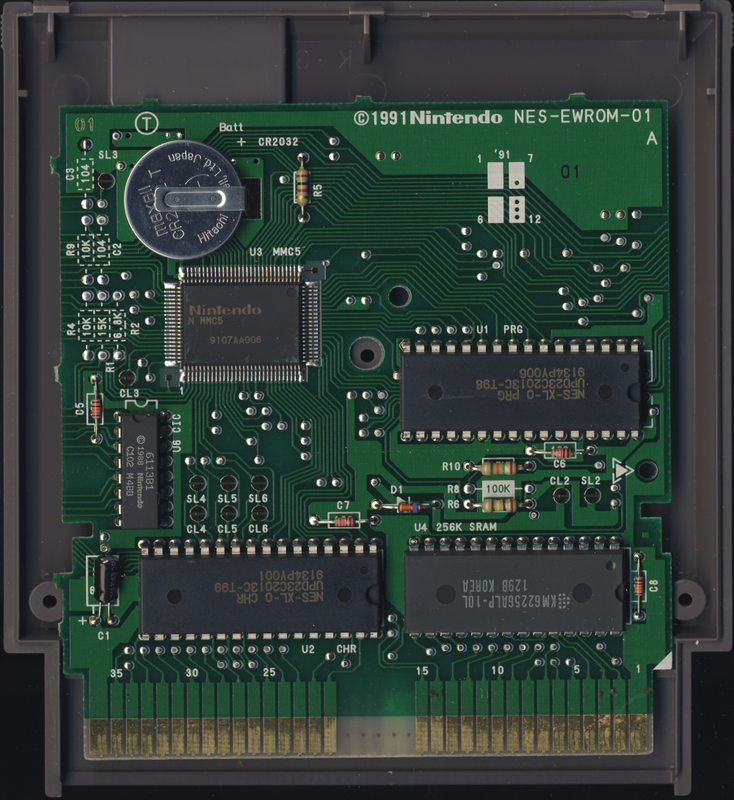 There are different types of boards inside Game Boy, Super Nintendo, and Nintendo 64 that I did not picture, just like the NES. NES games are typically held together with three 3.8mm security screws and two clips at the top. When you remove the screws, you can separate the two halves. Older games are held together with five screws. These games are lacking the clips at the top of the cart. 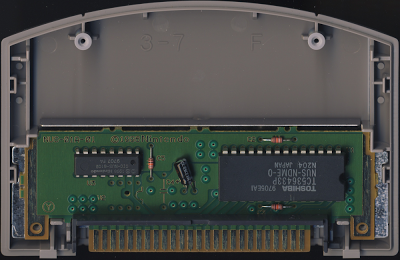 Super Nintendo games are held together with two 3.8mm screws and two clips. 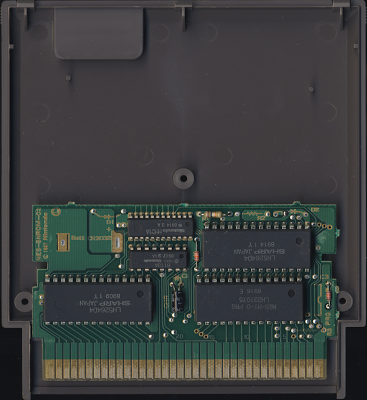 When the screws are removed, you separate the shell like you would an NES game. 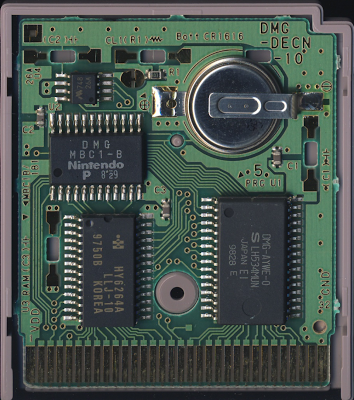 Game Boy games are held together with one 3.8mm screw, and you have to slide the front half down to get inside it. 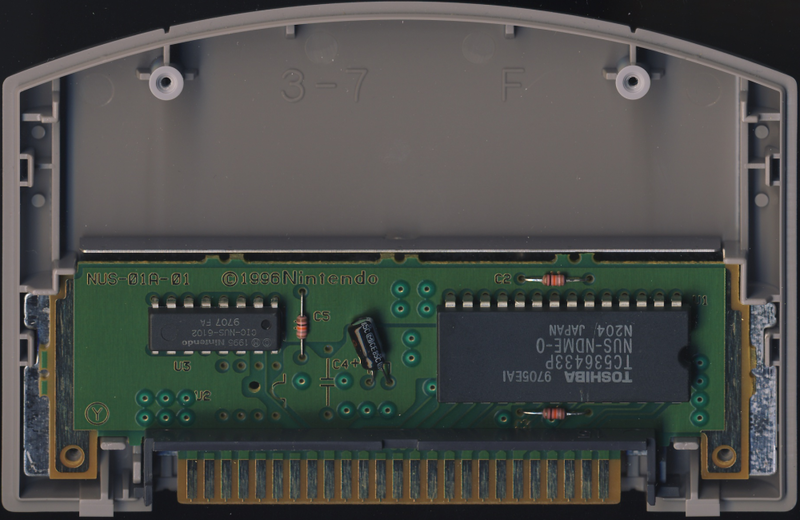 Nintendo 64 games have two 3.8mm screws, and when you open it, you'll find it actually has a metal RF shield over the board. It is held in place by two Phillips head screws. I should say that when you open them up, they only fit back together one way. You can't assemble them incorrectly, so don't worry about that! 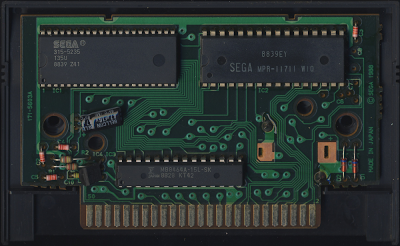 How about the insides of some Sega games? Let's take a look! 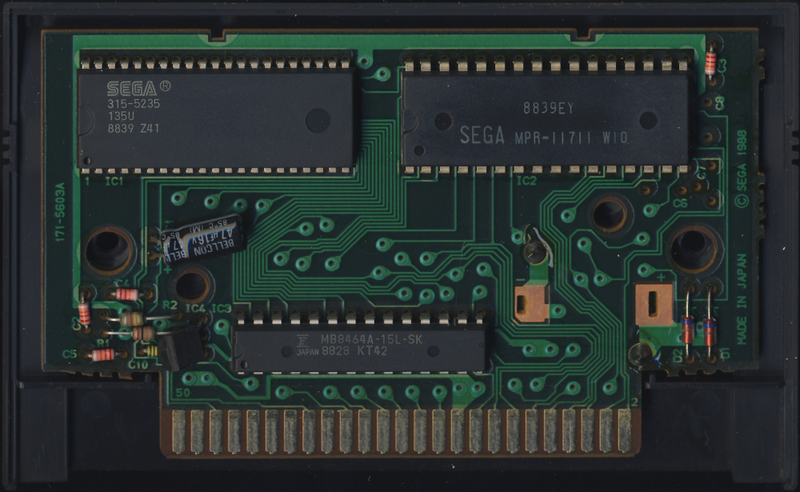 The inside of a Master System game. 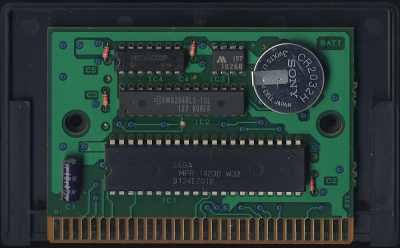 A Master System game with a battery (battery is behind board). 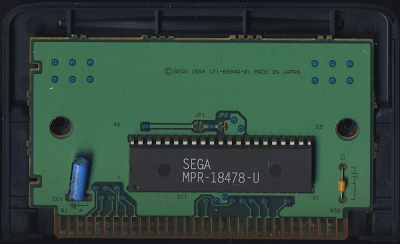 The inside of a Genesis game. 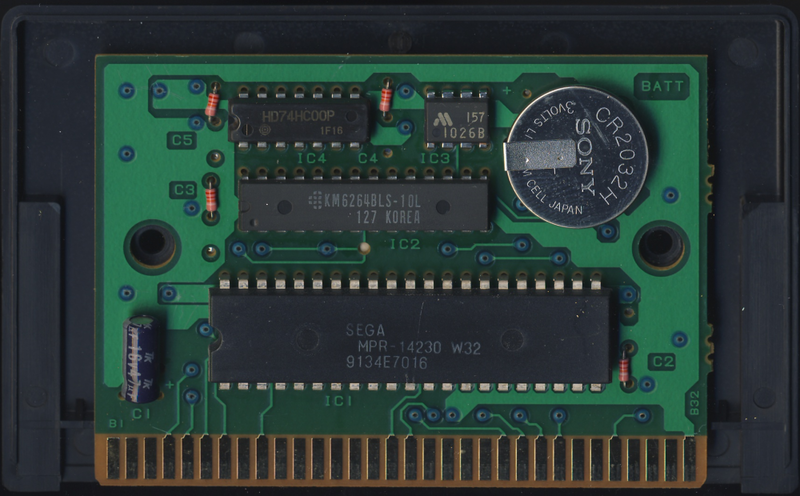 A Genesis game with a battery inside. 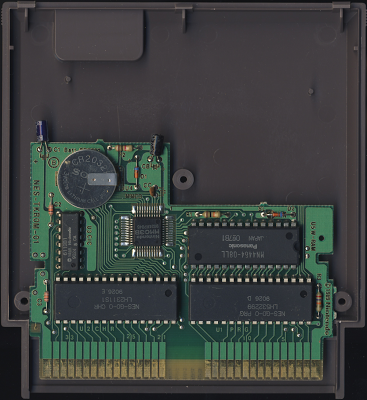 The inside of a 32X game. A lot of games have tons of unused space inside them, but there are some games that fill the shell up completely! 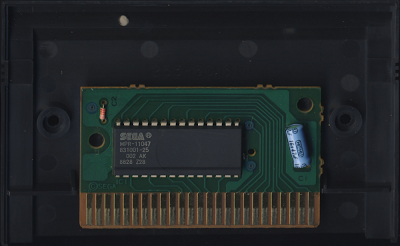 Master System games are held together with two Phillips head screws. At least the ones I looked at were (I don't have many Master System games). Genesis and 32X games are held together with 4.5mm security bits. 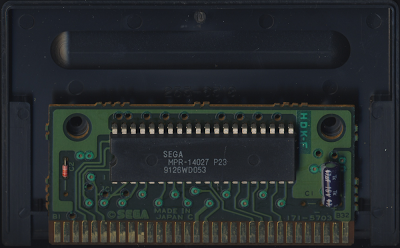 Master System, Genesis, and 32X are all just held together with two screws; there are no clips holding them in place. 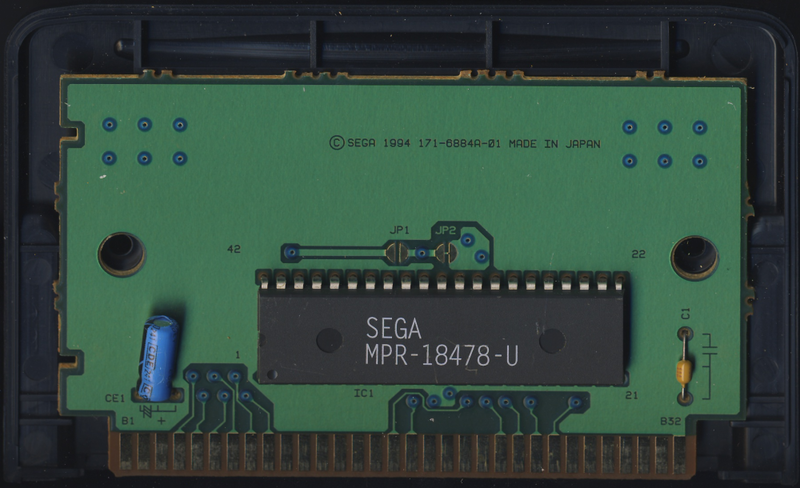 I would have posted images of the inside of a Game Gear game, but to tell you the truth, I couldn't get the thing open! They're held together with one screw, and you slide the back off to get inside, but it just wasn't cooperating. As I said in a previous article, I bought my security bits to open games from MCM Electronics. The bits you'll need are the 3.8mm bit and the 4.5mm bit. 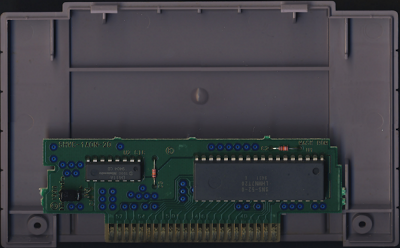 3.8mm bit will open NES, Super Nintendo, Nintendo 64, Game Boy, and Game Gear. The 4.5mm bit will open most Genesis and 32X games. I say most because you'll probably encounter some different screw heads here and there. These bits are very helpful, and I highly suggest buying one of each. So we come to the end of this [probably] useless article. For the people that open carts regularly, this has been a pointless feature. But for the people that have never seen the inside of a cart before, maybe they found it moderately interesting. Moderately. Thank you for the pictures! This was a real treat. 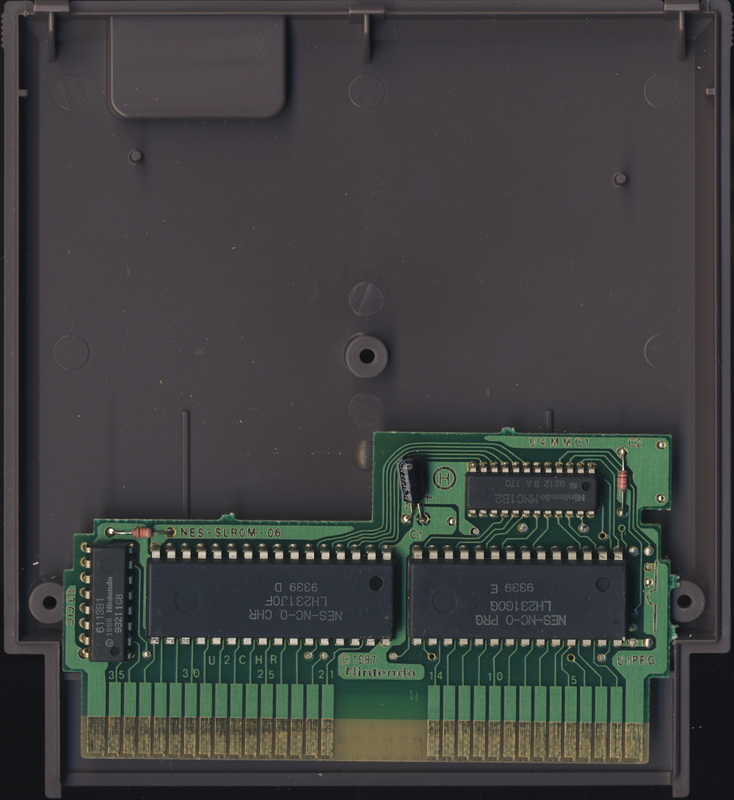 I had no idea the insides of all those NES games were that hollow. Or rather for all those cartridges. I guess they thought about future expansions to the guts inside and they knew future games would require more storage and features and that's why they did make the cases big on purposes.